Sorry its been so long since my last post! Christmas Eve to be exact, If you follow me on twitter or seen in my previous post, I was working over Christmas and literally had no free time to really sit down and blog unfortunately. But now I've planned out a bit of a schedule and some posts so hopefully that wont happen again! I also got a camera for Christmas so hopefully the pictures will be a lot better! 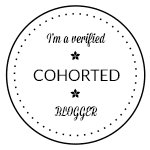 Also and finally this is my 100th blog post too! It doesn't seem like its been 100 haha. Anyway today's post is a super late December Favorite, I was thinking of doing a 2013 Favorite's post but I'm not sure, Let me know if you'd like to see one though. This is a bit of a surprising favorite for me, as I would never of thought to try Alberto Balsam Shampoo's but I'd ran out of shampoo so my mum put this in a Sainsburys order and it is probably one of the best shampoos I've ever used! I've tried everything from Tresemme to Trevor Sorbie and this is my favorite. The smell lasts in my hair and its so much cheaper! I've been working for Estee Lauder and have gotten to try the new perfume Modern Muse, I must admit I'd never of tried Estee Lauder Perfumes before working there but this has won me over! I've worn it more than my beloved Florabotanica by Balenciaga this month! It's very subtle, fresh and floral. Its great in the day although saying that It could be worn in the evening too. My favorite polish this month has been the Models Own Absinthe color from the Velvet Goth Range, I got at the Clothes Show Live and wore it all of December not including the weeks I had Gel Nails on though. Its different to the Liquid Sand Polishes a lot of companies are coming out with at the moment, It looks great with a clear polish over the top too, it makes it more sparkly! 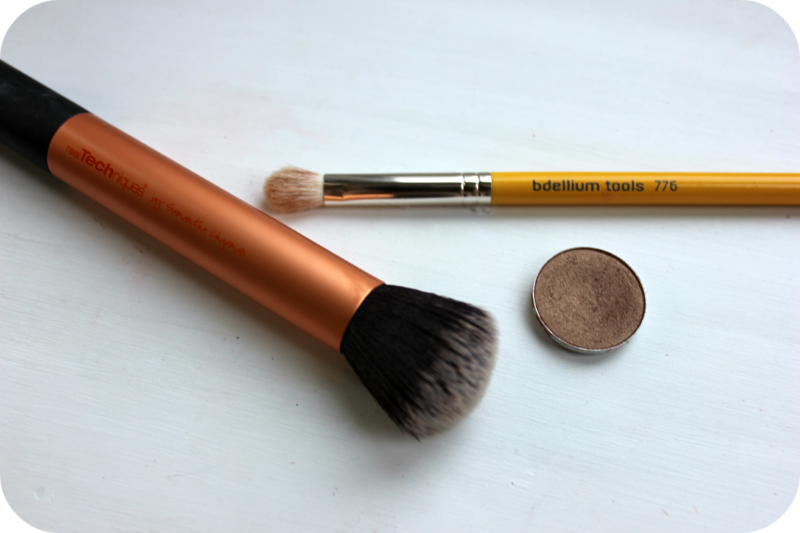 I don't usually include brushes in my favorites, but this month I discovered the brush I bought from Bdellium Tools back in July from IMats. I hadn't really used it much till December, but I've found its great just for blending out the crease and is a lot like a MAC 217, Which I need to get my hands on! Another Brush I've been loving has been the Real Techniques Buffing Brush, Which every beauty blogger seems to rave about, I've used this everyday for months now, But in December I actually started to use it just for foundation and fell in love with applying my foundation this way all over again. As I've liked quite a sheer base this month so this has been a great tool. My final favorite of December has to be the eye shadow in Woodwinked by MAC, I cant actually remember any day in December I didn't have this on. Its a great color for a bronzed yet golden eye and on blue eyes it looks great! I only ever really wear this shade at this time of year. 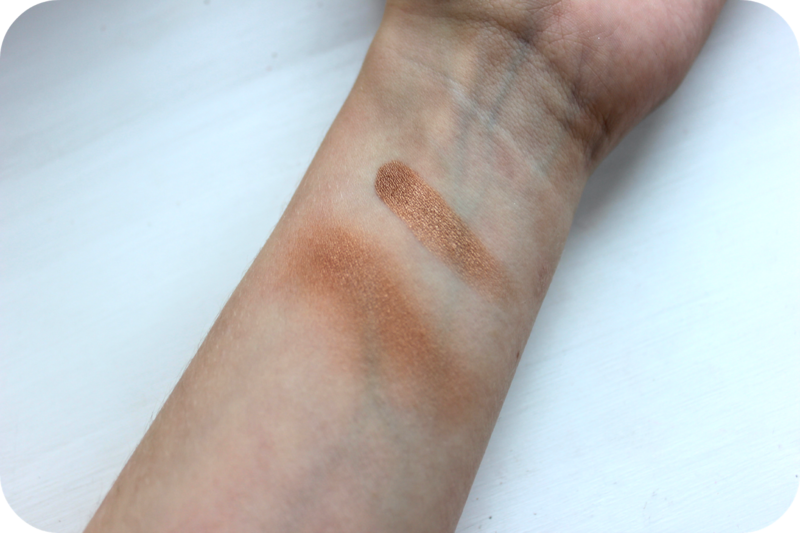 Its also great as when you blend it out it sort of becomes more matte resulting in a shade for your crease, aka one shadow for a very quick look! I hope you had a great new year too and hopefully 2014 is going to be a more organised blog so there's going to be lots to look forward to! 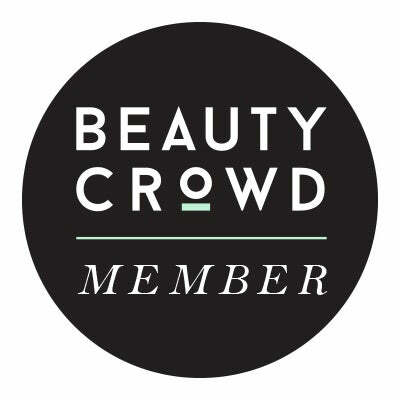 Including I'm hoping to put up another Giveaway once I reach 150 Bloglovin followers too, So maybe soon there'll be another giveaway on the horizon! It's insane I would never of thought that a Shampoo that's £1 could be so good! I cant see me going back to the more expensive brands again! It's on my MAC List, Just need to get to a MAC Store! I really want to get the 239 too, I'm just debating over getting both! The problems us beauty addicts face with choice haha! 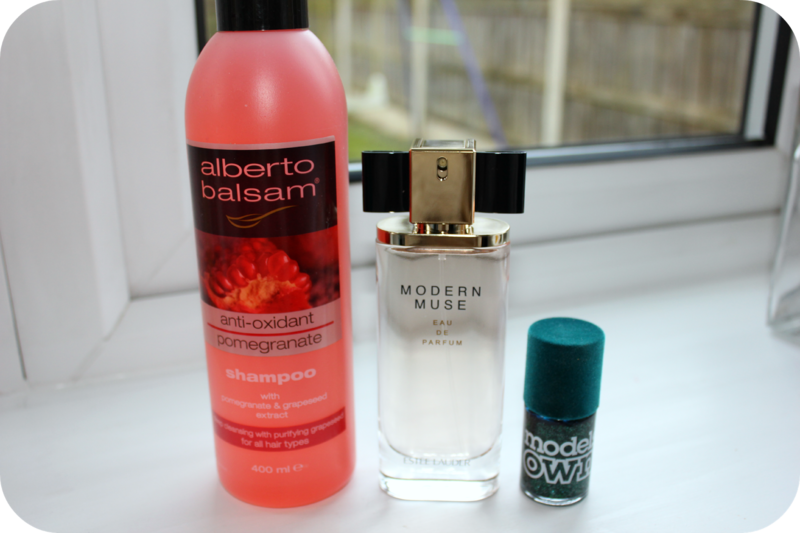 The Alberto Balsam hair products do smell amazing, the apple one is lush!